I wrote my debut novel slowly. Very slowly. I began Not Thomas in 2001 after it had been percolating for ten years in my head. I finished it in 2015. It’s the story of Tomos, a young boy longing to return to the place he calls home, but living instead with his neglectful mother. It’s written from Tomos’s point of view and based on my experiences of teaching children who suffered from neglect. I didn’t work on Not Thomas daily, or even monthly. It was a pet project I kept on my laptop. I dipped in and out of writing it while I concentrated on getting my children’s books published. I wasn’t in a hurry. After all, no one was ever going to read it because it was in the voice of a child – a five-year-old child – and what adult would want to read that? Then in 2010, Emma Donoghue made me rethink. She published Room and it had a five-year-old’s viewpoint. It did really well. It turned out adults wanted to read a novel with a young child’s point of view after all. I speeded up – a bit – and finished Not T.
Honno Press accepted it in 2016. Caroline Oakley, who’d been Ian Rankin’s editor at Orion for many years, edited Not Thomas and was happy to keep the viewpoint as I’d written it. It was published in July 2017. So slow writing worked for me. I eventually got my first novel for adults finished and, thankfully, published – a novel I never thought would see the light of day. If I’m ever lucky enough to meet Ms Donoghue, I’ll buy her a latte or two. I write for children under that name, and my debut children’s book was lucky enough to win the Tir na-nog Award in 2014. I grew up in a council house in Llanelli, an industrial town in west Wales. I adored books and visited the library every week. After secondary school, I took a degree in Philosophy & Theology. I’ve worked as a library assistant, a childminder and a primary school teacher. My first teaching posts, back in the early 90s, were in disadvantaged areas, and the poverty and neglect I witnessed left a lasting impression. I write full time now, and yes, I have speeded up. Home is still west Wales. I love spending time in Dublin – drifting between the wonderful cafés, theatres and bookshops there. 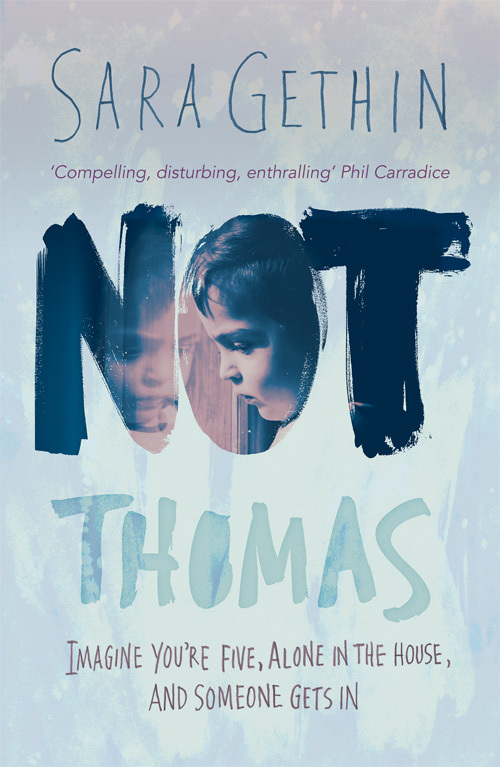 Sara’s debut novel ‘Not Thomas’ – a story of neglect, love and hope, shown through the eyes of a child – is published by Honno Press in paperback and as an e-book, and is available to buy direct from the publisher, from Amazon and from all good bookshops.